We offer a full range of property management services tailored to you as an investor, homeowner, or landlord. We have an extensive portfolio of single family homes, townhouses, condos, apartment buildings in the Lakeside, Golden, Arvada, Wheat Ridge, Lakeside, Edgewater, Morrison, Mountain View, Denver, Thornton, Boulder, Louisville, Superior, Littleton, and Westminster area. 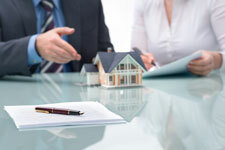 Benefits of using Associated Brokers Realty, Inc.
Based on your requirements and our judgment, an investigation of each rental applicant is made and can include any or all of the following: Written application, credit report, criminal background check, previous landlord reference, employment verification and public record search for past evictions. Renters are obtained through our vast network with other property managers, agencies, institutions, through signage, the Internet, and newspaper advertising. We make every effort to fit the applicant to the property and practice and encourage all fair and equal housing guidelines. Renters are required to sign a rental agreement which outlines all terms and conditions, as well as the responsibilities of the landlord. A security deposit is collected from the renter and held in a trust account, to help insure performance and to be applied towards the cost of any damages upon move out. Video documentation of the interior and exterior condition at your property is created and maintained. 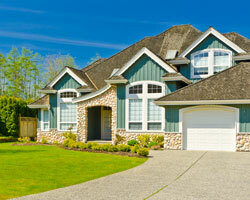 Drive-bys and interior property surveys are made as frequently as possible. A detailed accounting of all income and expenses is created monthly using our state-of-the-art software. Reports and disbursements are mailed to you by the 20th of the month. An "accountant ready" year-end report assists you in filing your taxes. Your funds are maintained in trust accounts at qualified banking institutions as provided for by State of Colorado Real Estate Commission guidelines. We hold a minimum cash balance in your trust account to cover any emergencies or other contingencies at the property. As part of our service we can make deposits to your bank account monthly, pay association dues, or make any additional payments per your request. Maintenance, repairs and unit make ready functions are coordinated by our office and assigned to subcontractors or our salaried personnel, whichever is most economical, and billed to your property account. We coordinate and use outside contractors as needed for specialized plumbing, heating, air conditioning, roofing, appliance, and other structural repairs. Annual preventive maintenance surveys are made on the interior and exterior of each property to determine condition and provide you with information and recommendations. This is also accomplished whenever your property comes vacant to evaluate make ready requirements, if any. A management agreement between you and our agency is reviewed and completed at the time management services are to commence. This agreement outlines our commitment and obligations to you, as well as our limitations and responsibilities. Fees are negotiated and are based on your specific needs, property size, condition, and location. There are two basic charges: an ongoing percentage of the monthly rent, and a rental fee charged whenever a new renter is moved into the property. We will be glad to provide a customized fee structure on mixed or large property portfolios. Our pricing is most competitive in keeping with our management philosophy. We offer both Seller and Purchaser representation. Properties are marketed through the Multiple Listing Service, the Internet, and advertised through various local media. You benefit by having us coordinate and accommodate with the renter during the showings. This helps minimize your rent loss during the listing period. We will be glad to prepare a market value analysis on your property and a marketing plan. If another Realtor or sales agent referred you to our agency, we will not interfere with this relationship and will gladly direct any such inquiries to your agent of choice. NARPM: National Association of Residential Property Managers , Denver NARPM Chapter leader and founding member. The Town of Lakeside is a Statutory Town in Jefferson County, Colorado. Copyright © Associated Brokers Realty, Inc. All Rights Reserved.